Kolkata: A windfall awaits shareholders of Bird Group of Companies, which mines iron ore, manganese ore, dolomite and limestone in Orissa and was nationalized in the early 1980s. The Union government has decided to sell its stakes in three firms belonging to the almost 100-year-old group to state-owned steel maker Rashtriya Ispat Nigam Ltd (RINL) in a first instance of disinvestment without competitive bidding. The open offers will give shareholders of these firms an opportunity to make a killing out of legacy assets, which they could not readily sell in the share market for decades because trading in these stocks had stopped. Under a plan for restructuring of the Bird Group approved by the cabinet last month, the Union government will sell its 53% stake in EIL—the key holding firm of the Bird Group—to RINL, which runs the Vizag Steel Plant. EIL owns 34% of OMDC, which has reserves of around 200 million tonnes of high-grade iron ore in six mines in Orissa. OMDC also has a cash reserve of Rs718 crore, which translates into a cash per share of around Rs12,000. In 2008-09, OMDC posted a net profit of Rs181.81 crore on a turnover of Rs291.71 crore. This translates into an earnings per share (EPS) of Rs3,030. The company paid a dividend of Rs450 per share in fiscal 2009. 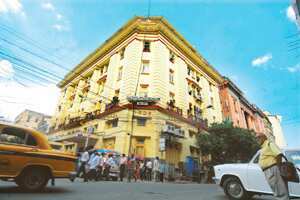 OMDC has a small equity base of Rs60 lakh divided into 600,000 shares of Rs10 each. Along with its shares in EIL, the government will also sell to RINL its 14.2% direct stake in OMDC, according to Union steel secretary Pramod Kumar Rastogi. “RINL will surely have to pay the government for its shares in the Bird Group of Companies," Rastogi told Mint. “Necessary orders have been issued…merchant bankers are soon going to be engaged for valuation of these firms." Asked if the sale of shares would trigger open offers, Rastogi said: “The restructuring plan will be vetted by Sebi (Securities and Exchange Board of India), and whatever needs to be done will be done." The sale of shares would be seen as “disinvestment by the government" and trigger open offers, said a Mumbai-based lawyer, who asked not to be identified because he is a member of various Sebi committees. “It doesn’t matter that the government is not selling its shares through competitive bidding… The sale of shares by the government will not be exempt from takeover code," he said, adding had the shares been transferred for free, RINL would not have had to make an open offer. This is the first time the government is selling its stake in a company without an auction. There was no competitive bidding for the shares of Maruti Udyog Ltd (renamed Maruti Suzuki India Ltd) as well, but that was because the government was bound by agreement to first offer its stake in the car maker to its partner Suzuki Motor Corp. of Japan. RINL’s chairman and managing director P.K. Bishnoi, who is also the chairman of the Bird Group of Companies, was not available for comments. However, the Bird Group firms have said in their latest annual report that they were going to become subsidiaries of RINL if the scheme of restructuring was approved by the Union government. Trading in OMDC’s shares on CSE had stopped in 1975. After 24 years, the exchange restarted trading in the company’s stock on 17 October, but trading is thin because of strict margin requirements and poor liquidity of OMDC’s shares—only 207,420 shares of the company are widely held. To stop speculative trading, CSE authorities have mandated that only shares deposited with the exchange in advance could be sold on its trading platform, and brokers buying it would have to pay 100% margin. On Monday, there was only trade in OMDC’s shares on CSE, and five shares of the company changed hands at Rs25,100 apiece. On 17 October, trading in OMDC’s had started at Rs27,000 and the stock had scaled a high of Rs27,900 on that day. Only 54 shares of OMDC had changed hands on 17 October despite around 3,000 shares being deposited with CSE in advance. In 1975, OMDC’s shares were last traded at Rs3.75 apiece. In off-market trades on Lyons Range, where CSE is located, the OMDC stock has been trading at Rs23,000-25,000 a share ever since the cabinet approved the steel ministry’s plan to make the company an RINL subsidiary. CSE authorities cannot readily recall when EIL’s shares were last traded. Asked if there was any plan to restart trading in EIL’s shares as well, Molly Thambi, CSE’s managing director and chief executive, said, “No. For the time being, we want to see how trading in the OMDC stock goes." EIL’s free float—or shares widely held and available for trading—isn’t immediately known. It is a profit-making company and in fiscal 2009 had posted a net profit of Rs9.19 crore on a turnover of Rs10.19 crore, about Rs7.5 crore of which came from dividend from group firms, and the rest from interest on its cash balance of Rs27 crore and other long-term deposits. In fiscal 2009, EIL had an EPS of Rs95, and the company paid a dividend of Rs14 per share. Among the three companies that are going to become RINL’s subsidiaries, BSLC, which mines limestone and dolomite, is the weakest from the financial standpoint. Though it manages to recover operating costs, it has been unable to repay loans from the Union government and the outstanding interest on them. Under the restructuring scheme for BSLC, the Union government has decided to convert the Rs86.79 crore principal into equity, and waive the unpaid interest of Rs624.40 crore. The financial restructuring is expected to make BSLC profitable too, because on a turnover Rs50 crore in fiscal 2009, the company had a disposable surplus of Rs4.85 crore after considering depreciation, but before considering interest due on the government loan. The government owns 86.5% of BSLC, of which 40.45% is held through EIL.